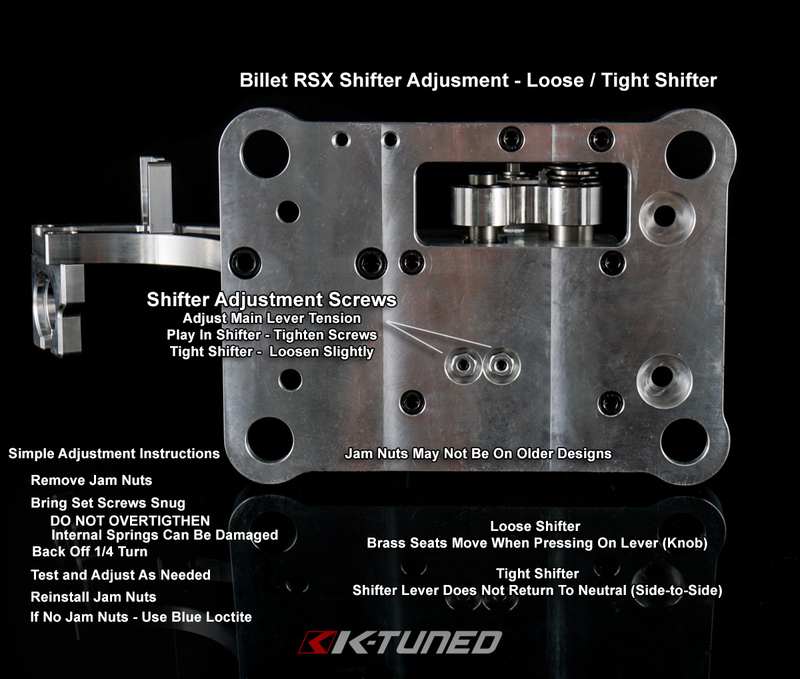 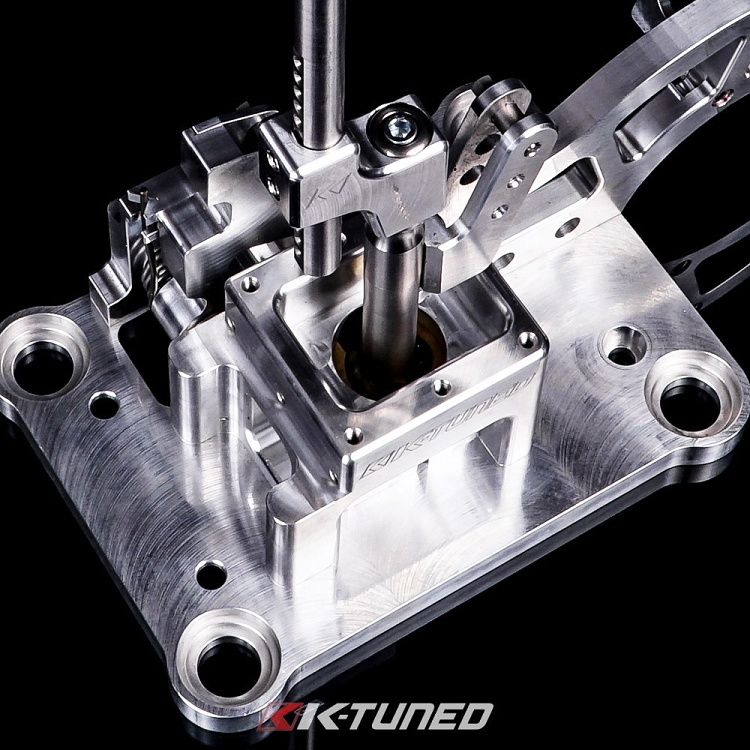 The K-Tuned Billet RSX Shifter Box is a direct replacement for the oem 2002-2006 RSX-S shifter box which can also be used in many K-swapped cars. 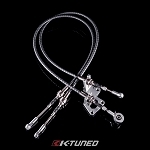 The box has been designed to work with both factory and aftermarket shifter cables. 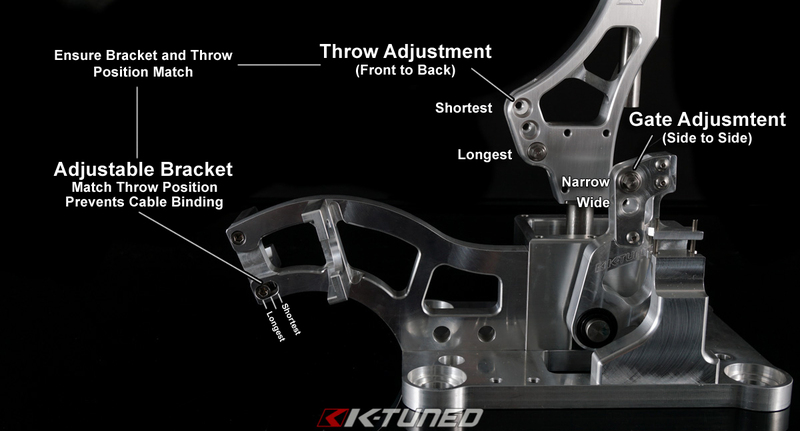 If you are currently using an oem shifter box you are probably already familiar with the excessive ñplayî or ñloosenessî that is found in the factory plastic box setup. 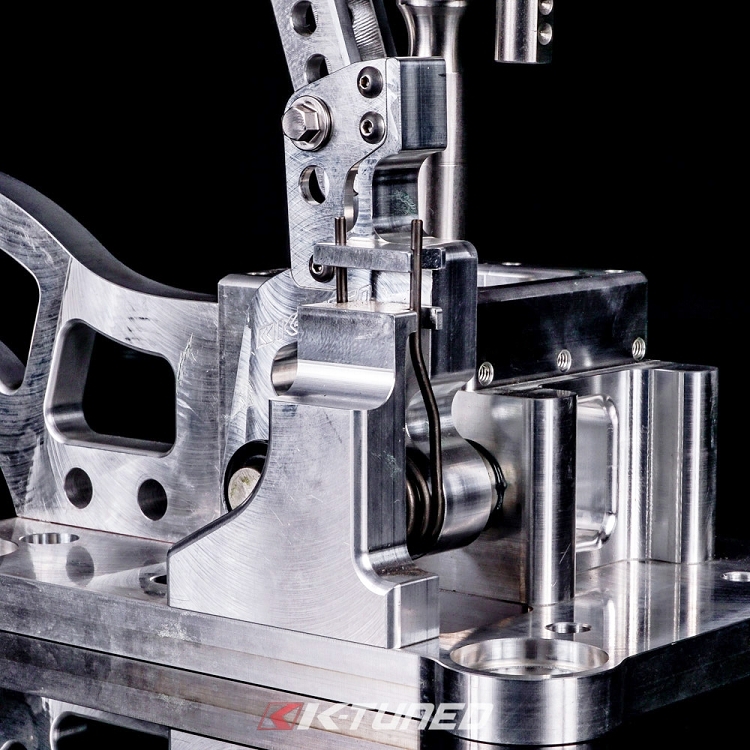 Our full billet design is extremely strong and designed to eliminate any flex or movement of the shifter unit. 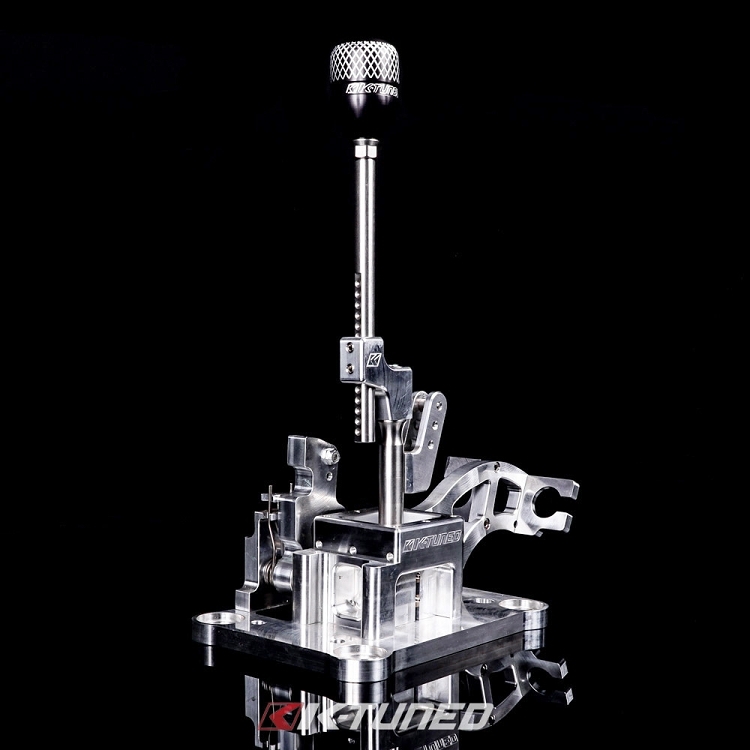 Our Billet Shifter Arm is integrated and has been redesigned to make fine adjustments to the spread of the ñHî shift pattern. 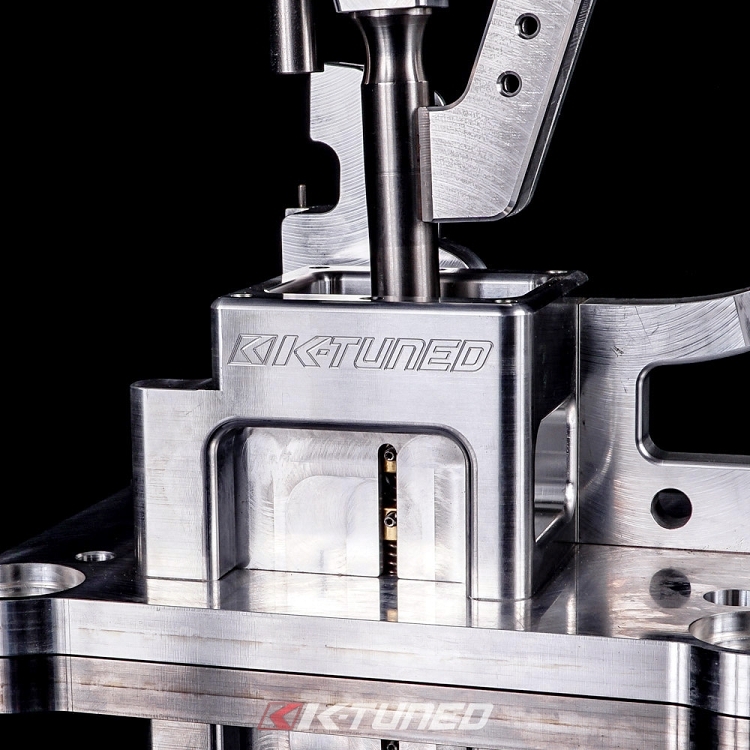 Essentially this feature allows the user to widen the spacing between 1st, 3rd and 5th gear. 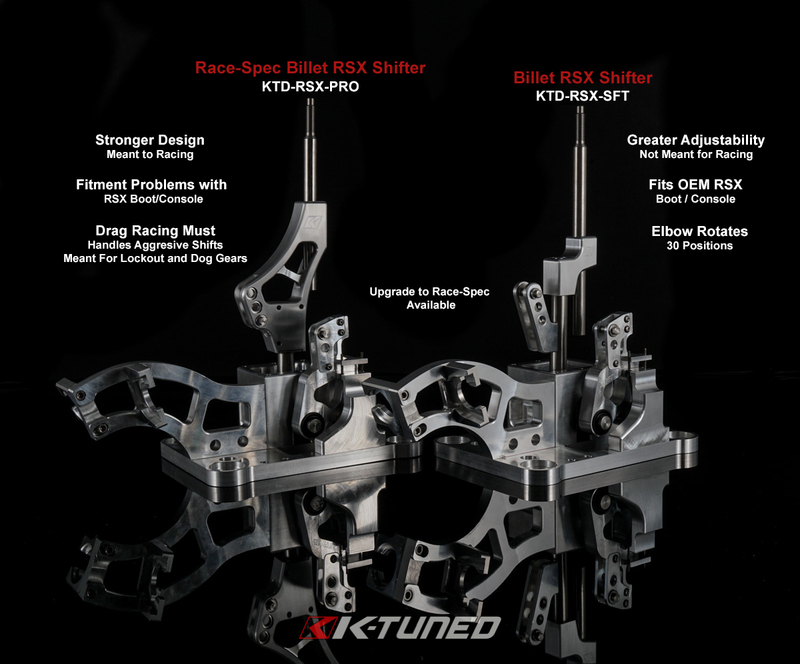 Note that 2nd, 4th, 6th and reverse gears will also be spread apart when adjusted. 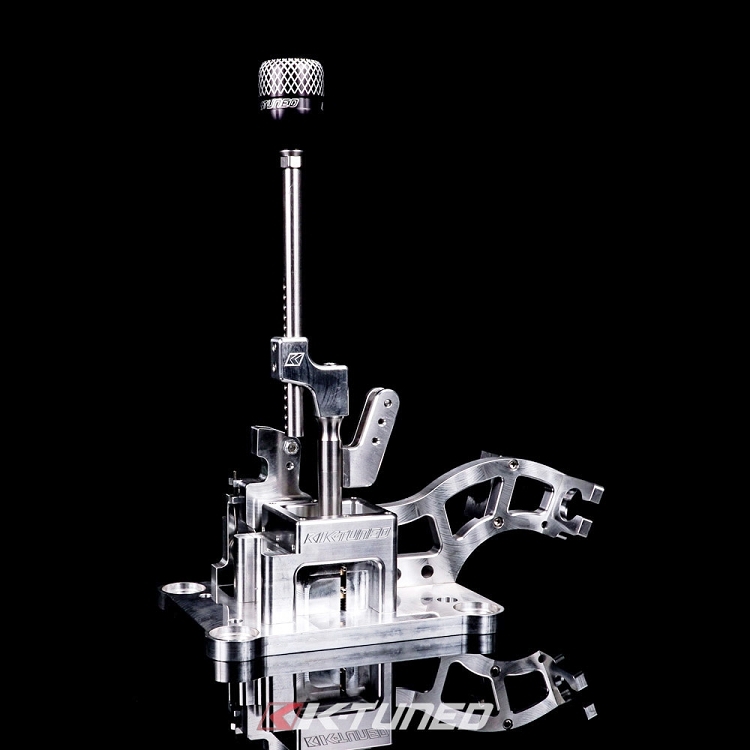 We have also developed a proper short shifter option that wonÍt damage or break the cable guides. 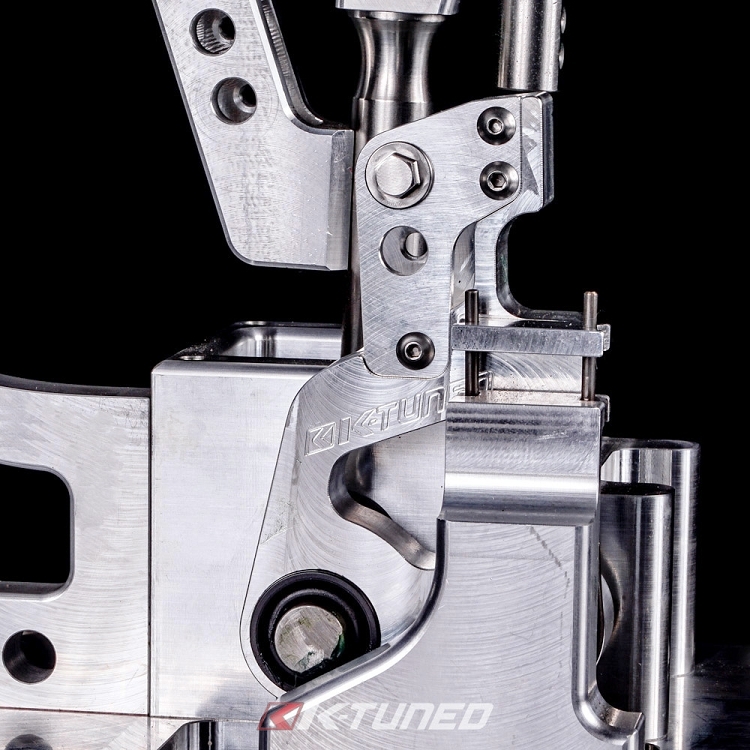 This is accomplished by making the shifter cable mounting point adjustable to correct the angle at the cable connection. 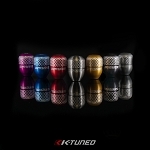 The shift lever and shifter ball are made from solid stainless steel and seated in a spring loaded brass socket. 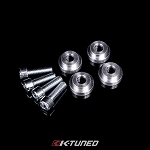 This combination of stainless and brass allows the two materials to lap together while the springs push up and eliminate ñplayî at the ball. 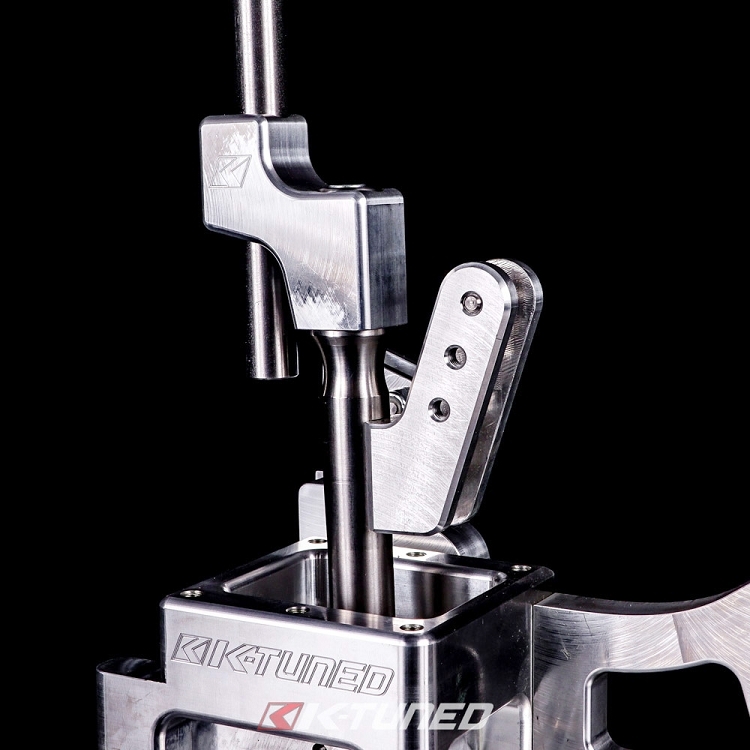 The lever is fully adjustable in height and offset rotation. 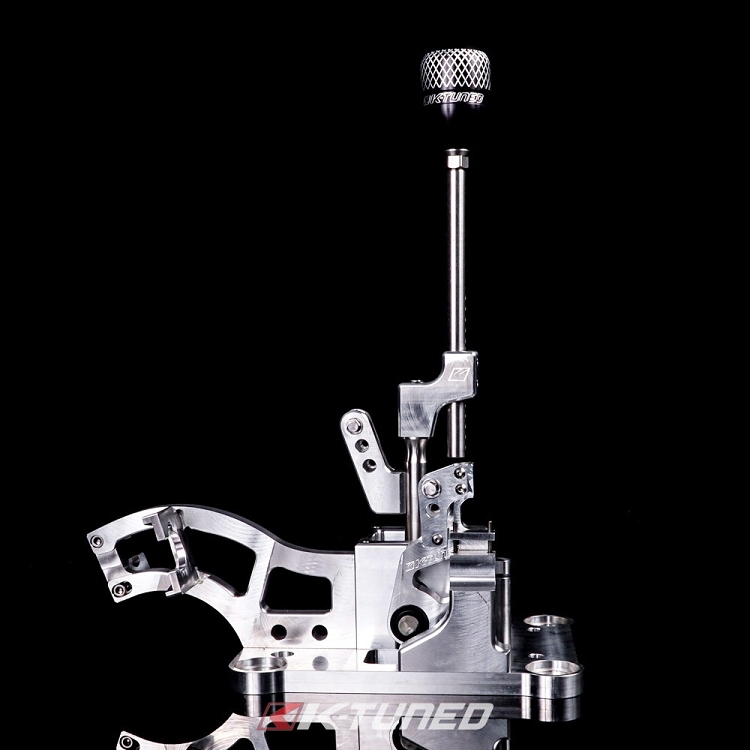 Height can be adjusted up to 2î taller or shorter than stock and there is an amazing 90 different offset positions.